Smart Homes Are The Future. Your future can start today. and we will send you information about our Smart Home program and how we can help. Thank you for your interest in our Smart Home Service! A Smart Home Specialist will be in touch with you shortly. Gloria also shows several examples of her favorite products, what they do and how can they help people who are blind and visually impaired live more independently. 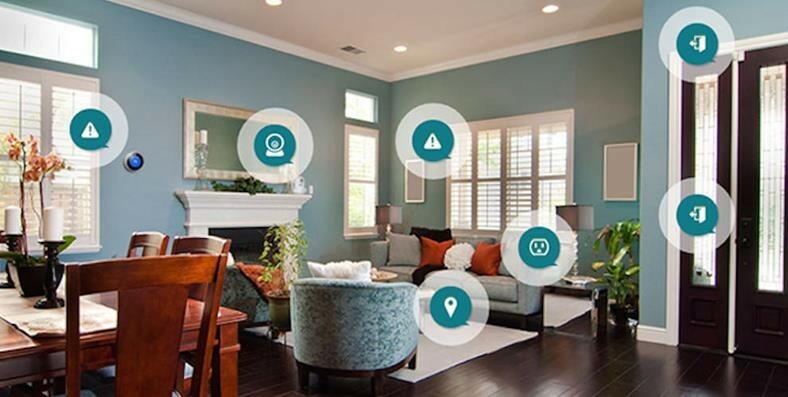 Our Smart Home Specialists will provide expert help from start to finish, working one-on-one with you to help you learn about all the options available to help you gain greater independence. We will take care of everything. All you have to do is enjoy your New Smart Home. It should be IMPOSSIBLE for anyone with Low Vision NOT to know about & experience this technology. We are here to help. We are well known, tested, proven and trusted. No matter what your low vision or blindness needs, we have the right solution with compassionate care. We represent nearly 100% of all major low vision and blindness suppliers, offering the latest up-to-date and most consumer choice under one roof. We go to your home, work or school for training, so you can be trained in the actual environment where you are using the technology. Our Advanced Low Vision Eye Rehabilitation Clinic provides a unique, personalized 2-hour experience in specialty low vision rehabilitation services to supplement traditional eye care. Through our Peace of Mind Program, we offer 3 convenient monthly pricing packages. Training & support is included, no more worries. We have two Low Vision Adaptive Technology Showrooms (Massachusetts and Connecticut) where you can experience a hands-on evaluation and training with the latest visual impairment technology. Our return policy is designed to provide you with sufficient time to ensure you made the right decision and you are completely satisfied.